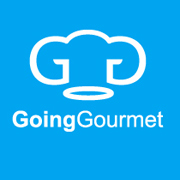 Going Gourmet prepare, book and handle all booking enquiries for Baxter Barn. As not only a highly sort after wedding venue, we conduct numerous celebrations, corporate and community events so getting in early is essential as bookings are subject to availability. Custom made packages and menus can be prepared and purchased to create your own personal event. Venue viewings are available on request only, however subject to availability and the nature of your event.